Congratulations Heather!! I will be sending you an email in just a few minutes which you have to reply to with your full name and mailing address so I can have these wonderful products sent to you! 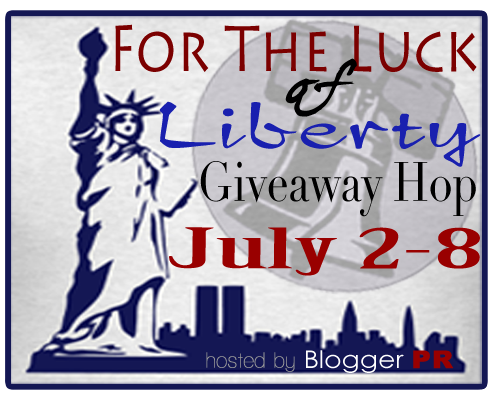 Welcome to the For The Luck of Liberty Giveaway Hop! Nearly 90 bloggers are participating in this event in order to celebrate Independence Day! This event is hosted by BloggerPR and will run from July 2-8, 2012. Each giveaway prize is valued over $25.00, so you are bound to find something you love! Help us celebrate July 4th and win some prizes in the meantime! Good Luck! Mandatory: go to Eclipse Spa and comment on what you like best! Now on to the list of all the other bloggers participating!! I like the Body Washes, especially the "Awaken". I'd love the vanilla mint sugar scrub! Pomegranate & Cassis Sugar Scrub sounds lovely, would like to try it! I follow you on Facebook with the name Courtney Tucker! I follow you on Linky with the name Courtney Tucker! I love the Sugar Scrubs and the Roll on Fragrances (Vanilla, ymmmmmm) so lucky me that that's what you're giving away! One I'd love to try is http://www.eclipsespa.com/Sugar-Scrub/Pomegranate-Cassis-Sugar-Scrub.html. The Sugar Scrub - Orange Burst sounds awesome. I like the Ritual bubble bath! Following via GFC as drake14. Liked the post as Trixie Dotson on FB. Natural Body Lotion - Moroccan Nights.. I like the tranquility bath salts, I also liked the post. I like the Pomegranate & Cassis Sugar Scrub. I'd like to try the Body wash Awaken! I've never tried these products before but the Sugar Scrub - Vanilla Mint sounds wonderful! I like the Organic Body Wash - Awaken. vanilla mint scrub sounds so scrumptious! I love the Roll-On Perfumes!It's so cute! I would like to try the Natural Body Lotion in Moroccan Nights. I loved the Awaken Body Wash! I would love the Grapefruit roll on scent!! I follow you on GFC as Connie Gruning. I think that I could really use the Pomegranate & Cassis Sugar Scrub for this summer. I would like to try the Natural Body Lotion in Lavender Vanilla. the item i like best is Pomegranate & Cassis Sugar Scrub ! I want some Bubble Bath-Ritual! LOVE the roll-on perfume - would love to try it in lavender! I follow thru Linky Followers! I like the pomegranate and cassis sugar scrub. The vanilla roll on looks the best!